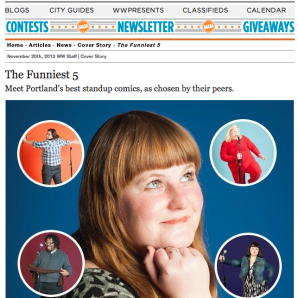 It’s a sad day in Portland comedy. 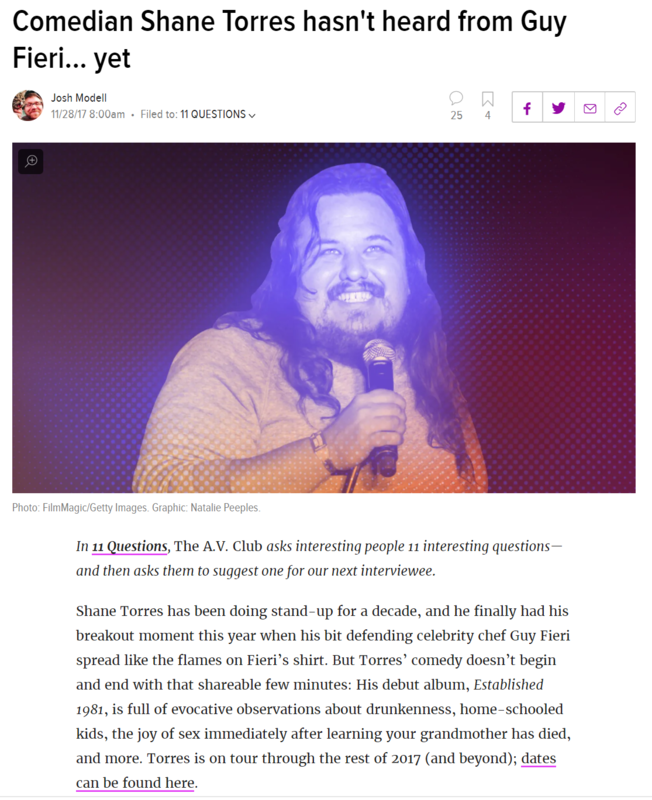 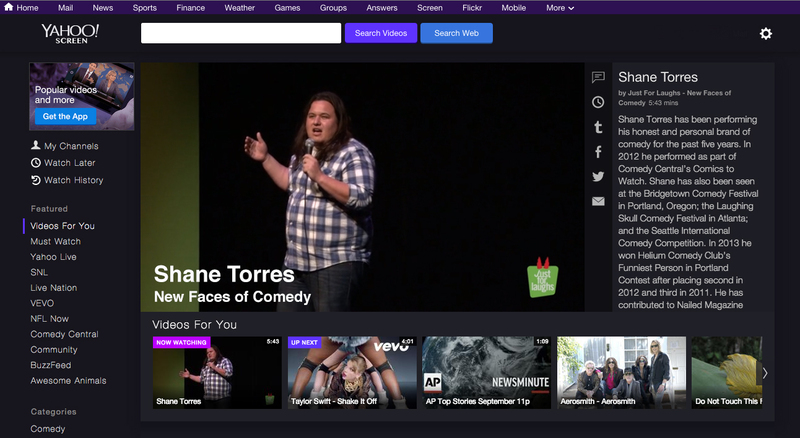 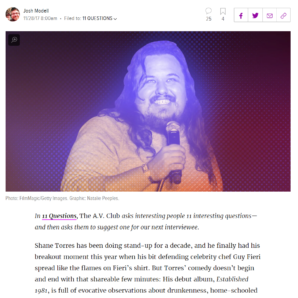 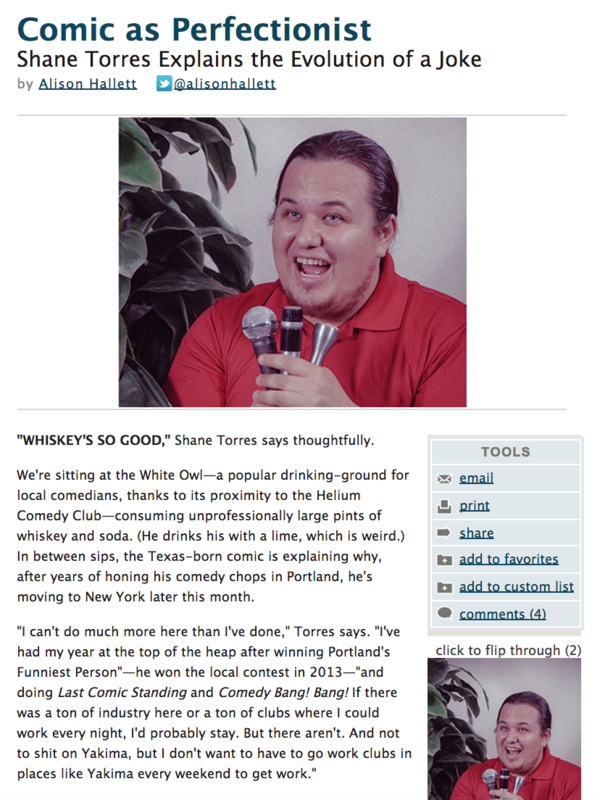 Standup stalwart Shane Torres is decamping for New York City. 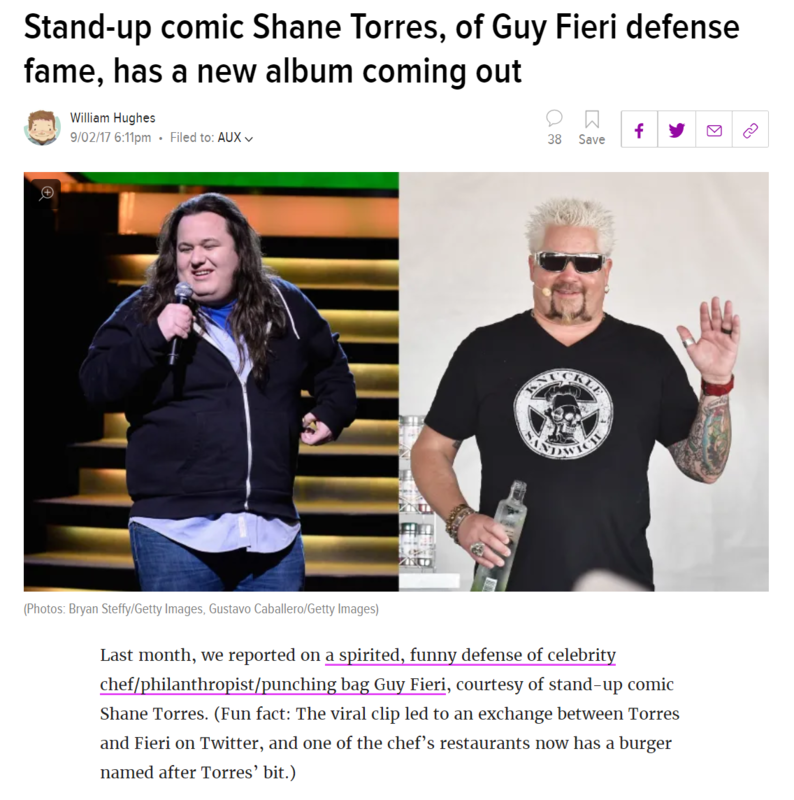 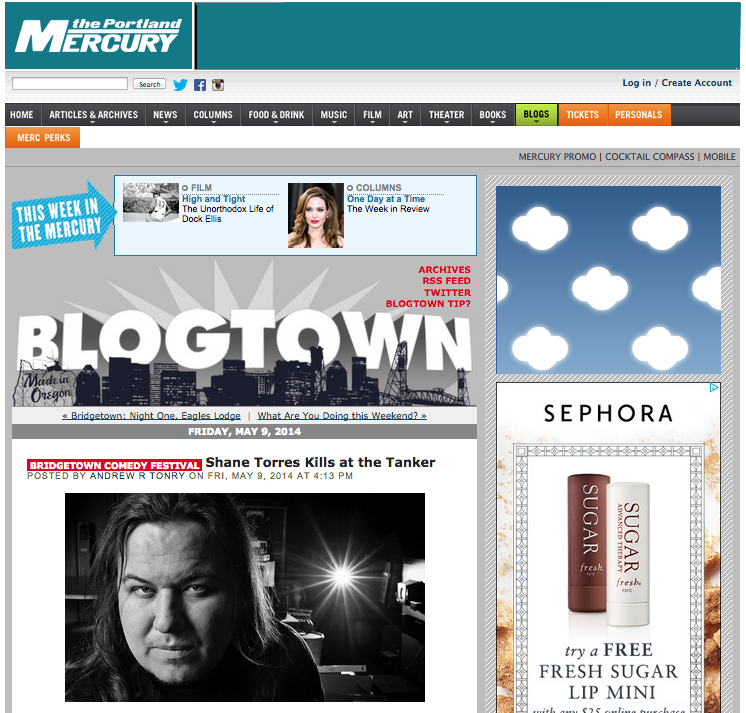 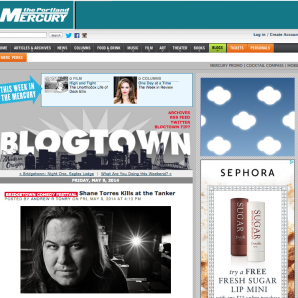 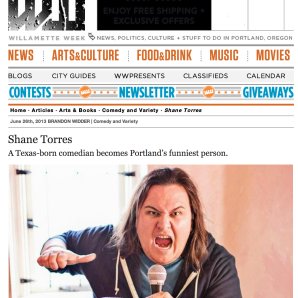 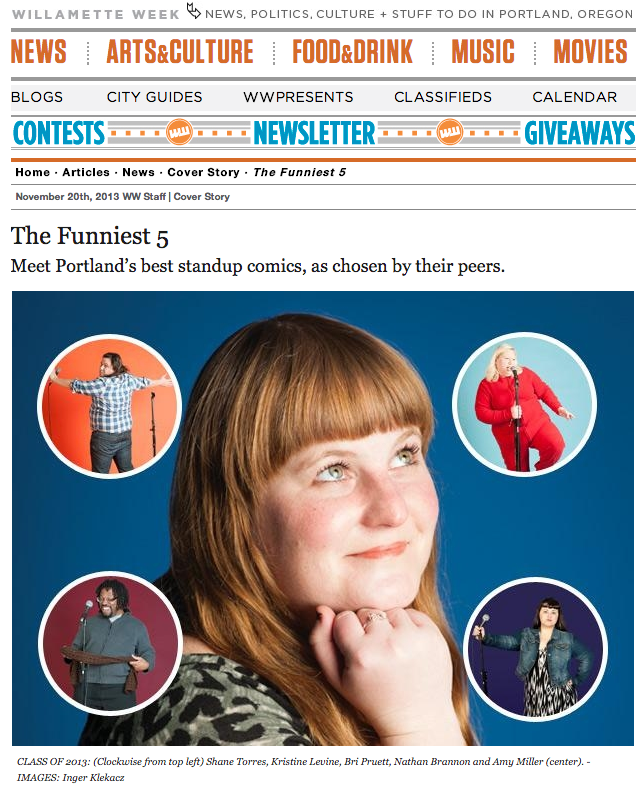 Torres, who was runner-up in WW’s Funniest 5 poll last year, has been a rock in Portland’s comedy landscape since 2007. 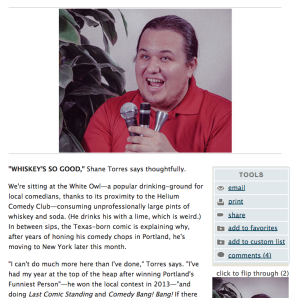 The Texas-raised comedian (and self-described “Native American Meatloaf impersonator”) has witnessed the scene grow from poorly attended, anything-goes open-mic nights to packed, locally produced shows with top-shelf national talent. 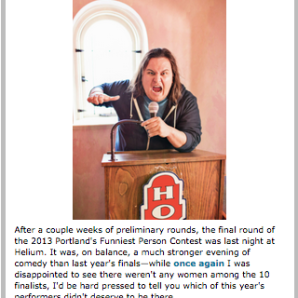 He’s one of the city’s hardest-working comics, and he brings a disarmingly casual style to his jokes about plasma centers and getting fired from Kinko’s. 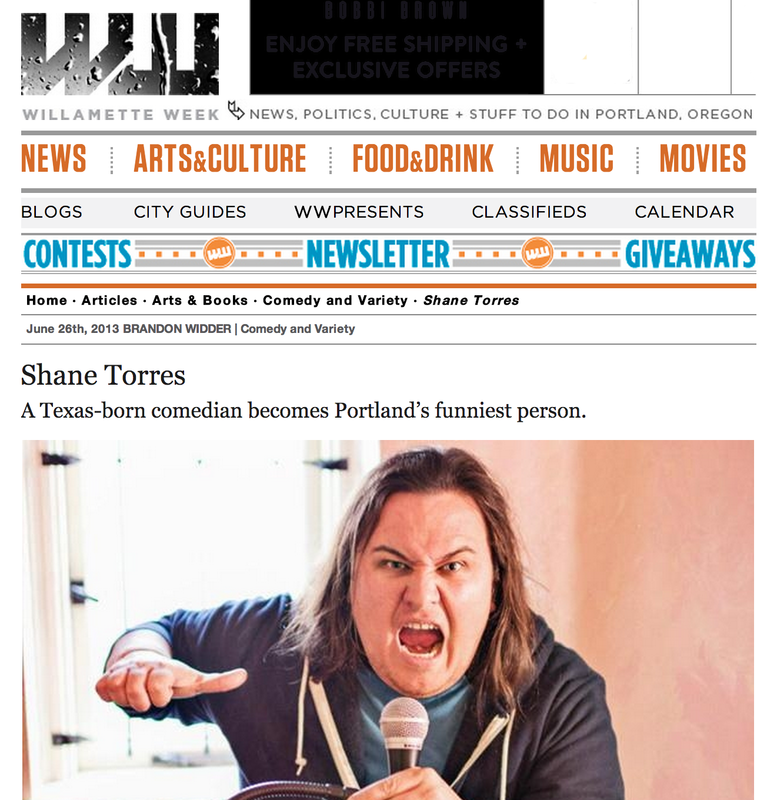 He’s a former roommate of Ian Karmel and a close friend of Ron Funches, both of whom also left Portland in the last few years—and recently enumerated the many merits of this city’s comedy scene on a recent episode of the podcast WTF with Marc Maron. 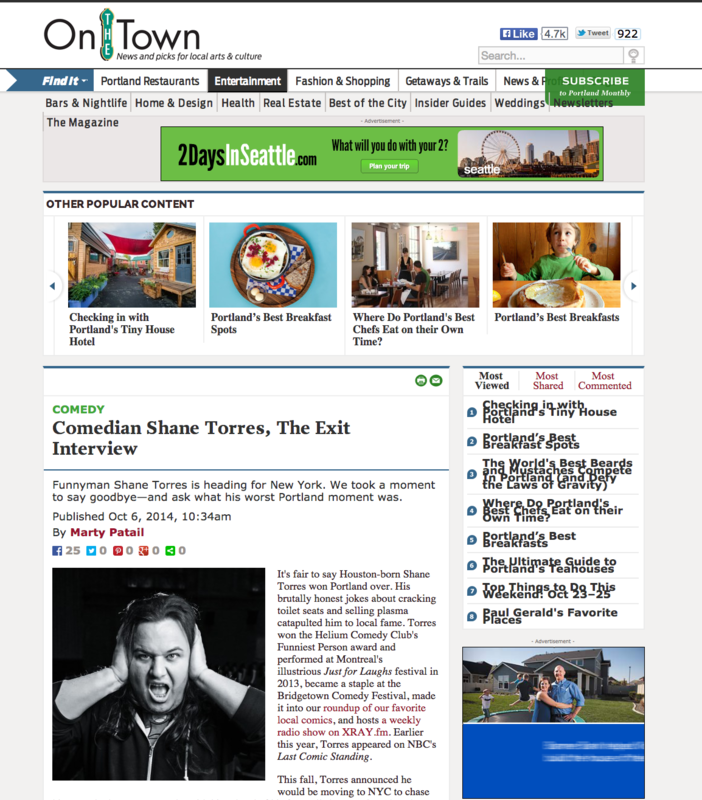 Torres will perform at a sendoff show on Friday, Oct. 10 at the Bossanova Ballroom, along with about 10 other local comics. 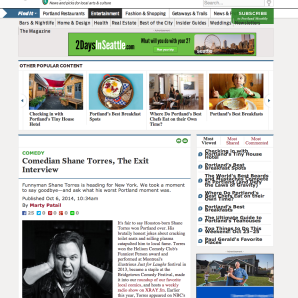 He sat down with WW at Holman’s—the first Portland bar he ever frequented—to talk about his plans for the future, reminisce about this town’s comedy scene, and provide some advice to Portland comics.